Interview with Tom Villella, Director Model Validation with Astoria Bank, on key topics to be discussed at the upcoming marcus evans 3rd Capital Adequacy, Strategy and Stress Testing Conference, on September 15-17 in New York City. Why is Capital Management such a key issue for banks at this time? Capital Management has come to the forefront due to regulatory pressure. The importance to community bankers extends far beyond this more limited use. Capital belongs to our shareholders. It represents a statement of trust in our organization. As such, we need to extend stress testing beyond the regulatory mandates to ensure that we risk adjust all returns. This small step will greatly aid us in knowing which business lines to emphasize and which to reduce. Active capital management will assist us in making more informed decisions and reward our shareholders with better results all while maximizing margins and minimizing losses. Technological and training aimed at Stress tests may increase the efficiency and quality of work in areas beyond risk. Is investment in technical infrastructure the key to coping with the increased regulatory pressures at this time? Technical resources are an important component in coping with increased regulatory oversight. We may need better technology and different skills than what we brought to bear in the past. In this regard hardware and software investments may lead to better employees as the stress of manual work is reduced. The new regulatory paradigm requires that we take every opportunity to substitute data cleaning for data analysis. As our employees use the new found tools they may develop insights that were lost before in the fog of manual tasks. How is the stress testing regimen being adapted to help banks with their capital management strategies? 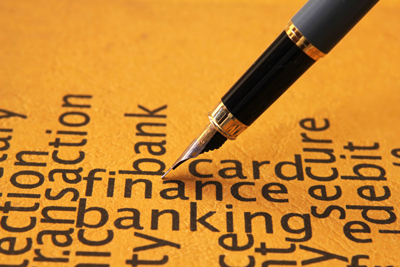 At many banks stress technology is being used in underwriting and profitability reporting. Capital allocation now takes into consideration quantitative as well as qualitative measures. The new stress models are contributing to a “Whole Bank” view rather than the old silo mentality. Benefits will continue to accrue as we push the new technologies to other areas of our banks. What do you think you will gain from attending this event? I am looking for perspectives from different banks both larger and smaller. I am also hoping to find professionals who may have the same issues so that we could compare notes, discuss software and hardware etc. Director Model Validation, Astoria Bank. A CFA charter holder since 1992, Tom was certified in Risk Management by the Global Association of Risk Professionals in 1997. He worked in Market risk with an emphasis on Fixed Income in several money center banks before joining Algorithmic (2005) as a Financial Engineer in professional services and later, Pre Sales. Tom has done extensive econometric modeling and development of risk applications. He has, at various junctures, been responsible for ALM/Liquidity, Counterparty Credit and Liability Structuring. Tom has served on ALCO committees and led Market Risk committees. Currently, Tom is Director of Model Validation at Astoria Bank. GFMI (a marcus evans company) conferences annually produce over 2,000 high quality events designed to provide key strategic business information, best practice and networking opportunities for senior industry decision-makers. Our global reach is utilized to attract over 30,000 speakers annually; ensuring niche focused subject matter presented directly by practitioners and a diversity of information to assist our clients in adopting best practice in all business disciplines.